Watering can Polished and stove enameled. 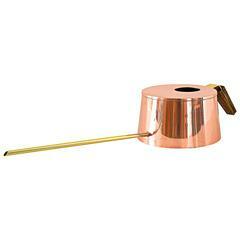 Copper and brass. Art Deco chandelier, 1930s. Polished and stove enamelled. Original glass. 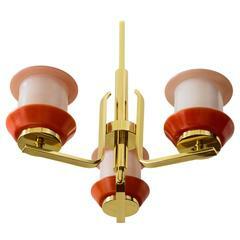 Two Art Deco pendants, circa 1930s Nickel-plated Original glasses Two are available, priced and sold per piece.